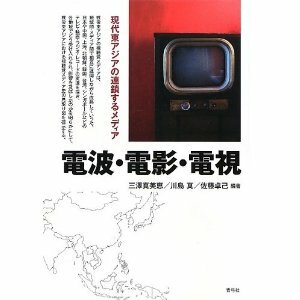 An edited volume on the media history in East Asia during the Postwar/Cold War period. One chapter (chapter 11) is writeen by me and translated by Lee Junghee, which is about the mediation of popular music in South Korea. The title can be translated into Electric Wave, Motion Picture, Television: Media chains in modern East Asia (probably incorrect) and is edited by Misawa Mamie et al. Below is the table contents of the book. Sorry it is only in Japanese. Can any native speaker help to translate?